The term “movies will never be the same again” perfectly applies here. Ster-Kinekor has taken the hyper-realistic immersive entertainment experience to the next level that will boost and elevate you, literally, and let you live the action. 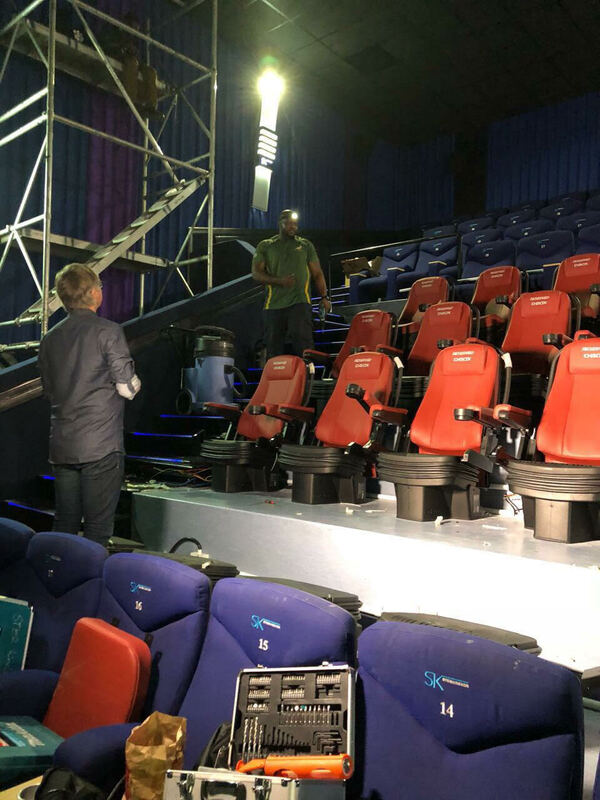 Ster-Kinekor is installing D-BOX, an immersive motion cinema seating technology at four theatres in Johannesburg (The Zone Rosebank and Mall of Africa), Cape Town (Cavendish Square), and Durban (Gateway Shopping Mall). Each theatre will be equipped with 50 D-BOX seats, amongst the regular seating. This will cater to a growing number of moviegoers who are looking for cutting-edge, premium entertainment experiences. D-BOX is changing the way you watch movies by moving your body and sparking your imagination through the power of motion. Using extraordinary precision and hyper-realistic vibrations, D-BOX delivers a whole new level of immersive entertainment that connects you to the movie like never before. Because you control the intensity, you can move with the movie and feel every scene as if you were in it. In addition, the line between you and the screen, it creates highly believable, one-of-a-kind movie-watching experiences that pull you into the story in ways you never thought imaginable. Sounds quite insane doesn’t it? The first D-BOX-equipped auditorium has already opened at Mall of Africa. Officially launched on the 23 November, the launch came in conjunction with the release of Justice League. The next D-BOX title releasing this year is the much anticipated Star Wars, The Last Jedi flick (lookout for our review soon!). If you’d like to check it out earlier then good news as Ster-Kinekor will be hosting pre-release screenings on all screens (IMAX & Ster-Kinekor screens) at 8pm this Thursday, 14 December. No doubt this is literally going to redefine the term behind movie watching. I for one am super excited and can’t wait to officially check it out this Friday!